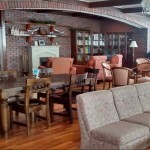 We are an old-western-style-built hotel and we dare to be different. We deliver the comfort of HOME. 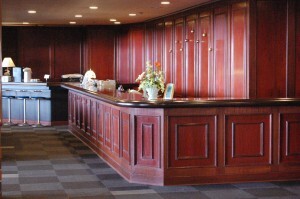 A wholesome, friendly and relaxing ambience combined with sincere service to ensure your stay is a memorable one. It is a perfect blend with the peace and tranquility of Shiga Heights National Park. 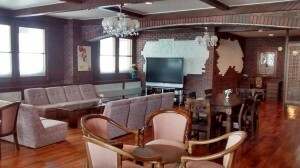 Shiga Palace Hotel is located at 1,700 meter above sea level. 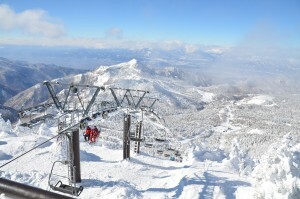 We are just footsteps away from the chairlift of two of Japan’s premier ski resorts and finest mountains, Mt. Yokote (the highest ski resort in Japan) and Kumanoyu, home of the 1998 Nagano Winter Olympic and Paralympic games. A short walk from the Hotel’s main entrance you will find the Suzurikawa bus stop. From here you can take a free shuttle to other ski areas. 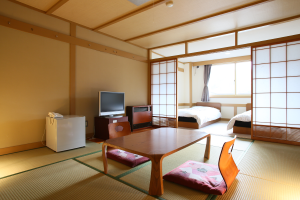 ■Check-in : 3:00 p.m.　■Check-out : 10:00 a.m.
We have a selection of rooms with either bed or futon (Japanese style) for your comfort. All rooms have a flat screen colored TV, a refrigerator, a safety deposit box, washroom (some washrooms are shared), bath and face towels. We also provide complimentary in-room green tea and biscuits, toothbrush & toothpaste. You will have yukata and hanten set (a lounging robe for use before and after bathing) that you can wear after a relaxing soak at the hot spring. Feel comfortable, step back from the hustle and bustle of everyday life and relax. 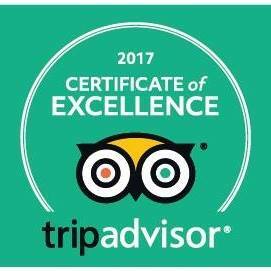 Our staff is committed to providing warm Japanese hospitality during your stay ensuring every guest feels cared for, valued and respected. Our Main Dining Hall seats 600. Breakfast and dinner are in buffet style and has a wide array of seasonal dishes carefully prepared from local fresh produce – Western, Japanese and Chinese cuisine, approximately 30 dishes. We also have a wide selection of Japanese beers, wines and sakes. 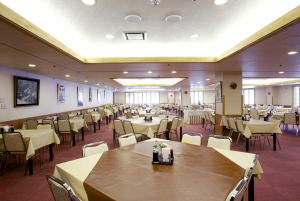 Additionally, we can accommodate guests with specific dietary needs with advance notice. ■Breakfast: Daily 7:30 ~ 9:00 a.m.
■Dinner: Daily 6:00 ~ 8:00 p.m.
All guests enjoy unlimited internet wifi access in guest rooms and in public areas. 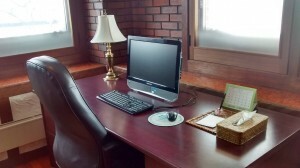 A service computer is available at the Lobby and at the Executive Crystal Lounge. 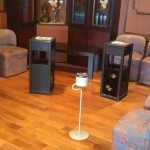 Small and medium meetings and social gatherings can be accommodated in our Lounge. Please contact us with your group requirements so we may be of assistance. Enjoy your favorite TV series or watch a movie at the wide screen TV. Feel free to use the massage chair to ease weariness and get fit for the next day ski activity. 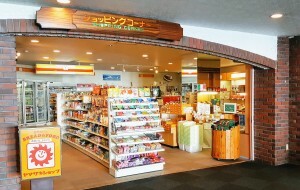 – from daily necessities to souvenir goods and gifts. 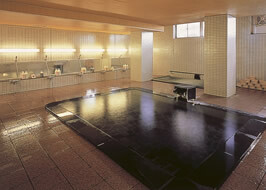 Hours of operation: 7:30 a.m. ~ 9:00 p.m.
Our hot spring bath is available for guests 24 hours a day. It is 100% pure natural hot spring from Hotaru Onsen (source of hot spring water in the area). Refresh your skin, relax and unwind. There are two large baths and spacious washing areas. Shampoo & conditioner, body soap, facial wash, foot cream and hair dryer are provided. The Hotaru onsen natural water relieves tension, muscular pain, joint pain, shoulder aches, fatigue, chronic digestive system conditions and skin inflammation. Whether you are travelling with your own equipment or need to store your rentals, we are glad to provide ski or snowboard equipment lockers for free. 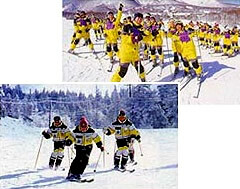 Enhance your ski holidays and build your confidence on the slopes. The Tsurui Ski School offers instructions to take your skiing to the next level before taking to the slopes of the Shiga Kogen Ski Resorts. 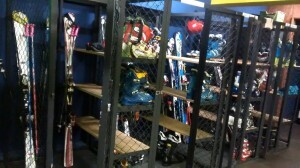 We have all snowboarding and ski equipment for rent including ski wear. The rental shop is located in the hotel and knowledgeable staff will provide you with the necessary information for the best slopes to hit to make your day, one that you will never forget! Hours of operation: 7:30 a.m. till 9:30 p.m. 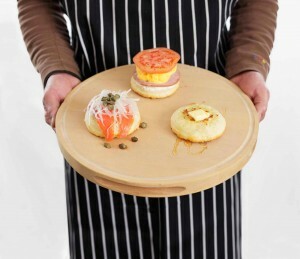 The first Crumpet Café in Japan at the Peak! 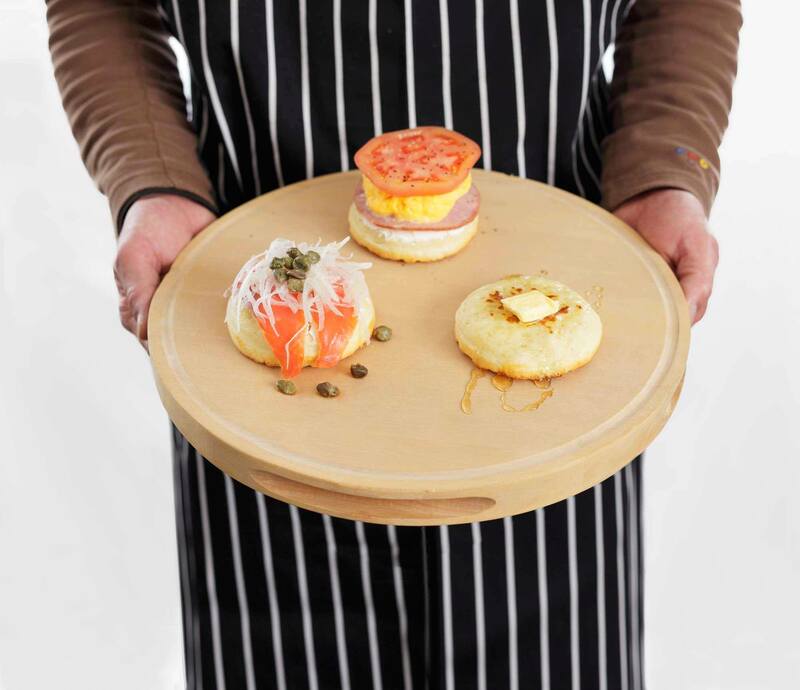 Enjoy the many variation of crumpet – from the simple butter and honey to home-made apple butter and cream cheese and a lot more. The cream cheese,ham,egg and tomato is the most popular. 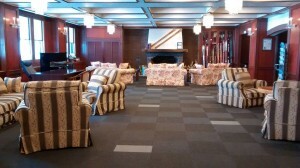 The Café is located at the 2nd floor of the building of the third lift of Yokoteyama ski slope. Take a short break from slopes, relax and enjoy the majestic Mt. Kasa from the balcony. On one side of Mt. Kasa is Nagano City and the other side is Nakano City. Shiga Kogen, located at the heart of Joshinetsu National Park, is a year round destination with full of exciting and interesting spot and activities. 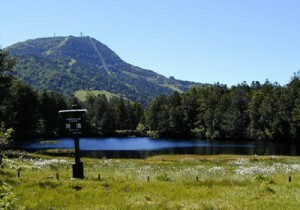 In1980, it was designated a “UNESCO Man and the Biosphere Reserve”. 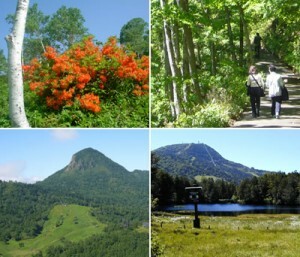 Enjoy the nature through hiking and trekking in spring, escape the summer heat of the City and be fascinated by the emerald green lake and Japanese fireflies or the “genji hotaru”, the changing of colors of the leaves and mountains lined with the Japanese white birch or the “shirakaba” which cover the plateaus are especially beautiful in autumn. 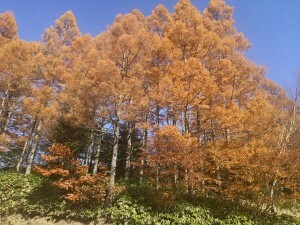 Come and experience Shiga Kogen’s natural wonders. 2.From Nagano Station East Exit you can also take a direct bus going to Hotaru Onsen (Suzurikawa) Bus stop. There are two direct bus schedules – Leaving Nagano Station East Exit at 9:05 a.m. and arriving Hotaru onsen 10:30 a.m. Next schedule is 12:40 p.m. arriving 14:05 p.m. (Schedule may change. Call the Hotel to verify). 1.Take the Chuo Expressway to the Okaya JCT, then take Joshin-etsu Expressway to the Kosyoku JCT and head towards and past Nagano on the Joshin-etsu Expressway. The Shinshu Nakano Interchange is the nearest exit (approx. an hour drive more to the Hotel). Get off at the Shinshu Nakano Interchange and follow signs onto the Shiga Nakano toll road for Yamanouchi Town. The toll road runs into Route 292 for Yamanouchi Town. It’s a long drive at the mountain road and you might wonder if you’ve got lost. If you see the san valley resort, you’re approximately 10 minutes from the Hotel. Copyright © 2019 Shiga Palace Hotel. All Rights Reserved.